I know that it has been awhile, but i am back. Here is my first piece since i got lost. Though my skills are lacking I will so surpass this hump. 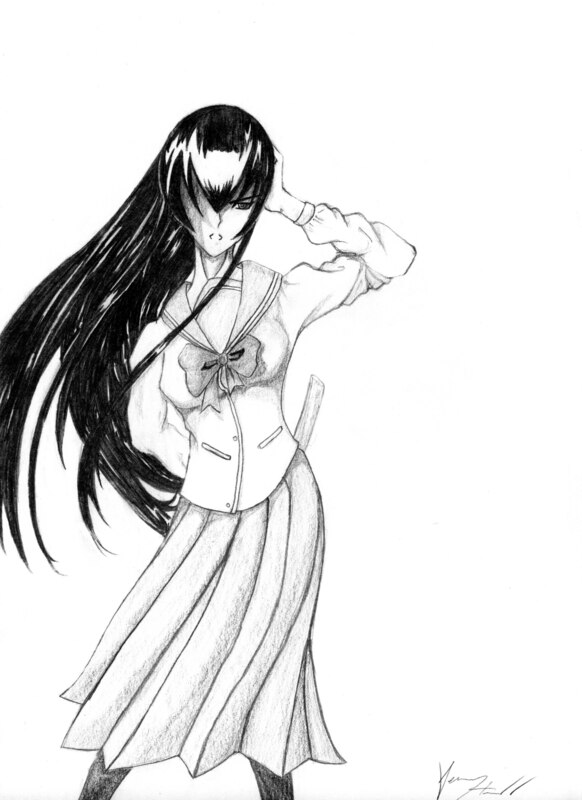 I drew this with mech pencil and drawing paper as usual oh and i can guarantee you won't see Saeko in this pose. Umm, any comments and questions are always welcomed. ^^ thank you. the movement is well done i just didn't liked her legs so much and her shoulders seem a little to down ? Wow! you to become perfect! incredible! Congratulations!